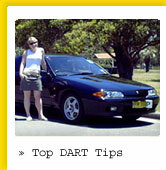 » Your driving instructor's vehicle should have dual controls, to help avoid disasters. » Your driving instructor should be experienced in anticipating, and dealing with, dangerous situations. » You do not damage your own car. Any professional driving instructor should be insured and take responsibility for mechanical and crash related damage (unless the learner is being malicious or irresponsible). » Your spouse/parent/friend may find supervising your driving extremely trying. You may find THEM to be extremely trying! » A good instructor should be patient (if not, get another instructor ASAP). Your lessons should be challenging, but you should not be made to feel stupid or hopeless. » A good instructor will know the processes of learning and testing, will know the pitfalls, will be able to advise you. So you can concentrate on the driving. The number one tough question asked of driving instructors! Much as they would like to make bucket loads of money from you, the main problem is that there is no clear answer. How many tennis lessons do you need to get on the school team? How much practice do you need to do to be a good guitar player? » What previous experience do you have? » How good are you at hand/eye related activities? » How carefully have you watched your parents' driving as you grew up? » Do you feel much more comfortable with an instructor rather than your alternative options? » Do you want to be MORE than test ready. Will you survive AFTER your test? 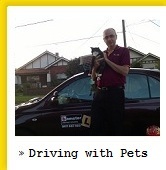 Your driving instructor has heaps of experience and skill to pass on to you. Surviving on the road is much more than passing a 30 minute test! Your driving instructor will have given 50 or 100 lessons to some students and will have given a single lesson the week before a test to others. In any event now that you are required by law to do at least 120 logged hours there is a little less immediate pressure to have an exact number. OK if you HAVE to have a figure, let's say 5-15 hours for auto, 10-20 for manual. Satisfied? Should I learn to drive with manual or automatic transmission? The first answer to this is purely practical. What car(s) do you currently have access to? What car(s) are you likely to have access to when you pass your test? 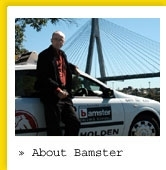 The current law (as Bamster understands it) is that if you pass your driving test driving an Automatic vehicle, you will have an "A" printed on your P1 licence which restricts you to driving an Automatic. However this restriction will not apply to your P2 and full licence (check with the RTA to be sure). Autos are a little easier to learn and can be less of a hassle in bumper to bumper traffic. » Choice 1: You can drive either. Even if you are legally entitled to drive a manual you still need to know how to do it and to have had some practice. » Choice 2: You can buy either. Particularly in the older, smaller, cheaper car market, you will find a lot of manual vehicles on offer. Auto restricts your options. » Choice 3: You can rent either (not much of an option unless you are over 21). If you are renting light trucks and utes (e.g. from Balmain Rentals), then you will find a lot of the vehicles are manual. » Choice 4: Upgrading/upsizing. If you wish to drive motorcycles or larger vehicles (LR, MR, HR etc), odds are there will be less auto options and more manuals. It helps if you already understand the basics. » Cheaper vehicle: Generally automatic transmission makes for a higher purchase price (particularly high proportionally at the cheap end of the market). » Clutch starting: If you have a flat battery or starter motor problems, it is possible to start a manual by clutch starting. This is not an option in an automatic. NOTE: ONLY DO THIS IF YOU KNOW WHAT YOU ARE DOING. CHECK YOUR VEHICLE USER MANUAL FIRST! SAFETY IS A BIG ISSUE IN THIS SITUATION. Still to come: What is that stupid roundabout rule? "Reckon on everything. Expect everything."